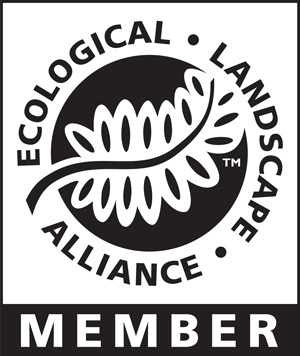 MainStay Landscape has formed strategic and highly accomplished partnerships to meet the needs of our clients. We have a demonstrated commitment to developing client trust and confidence through effective communication, clear goals, timely project delivery, and craftsmanship that reflect your values. 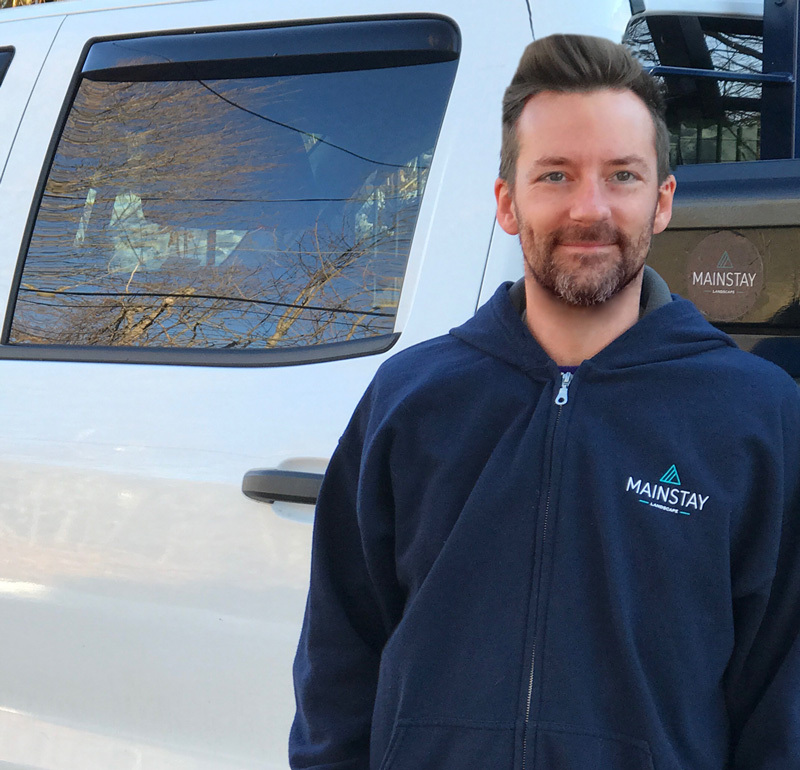 After 15 years in the Green Industry, Jay formed Mainstay Landscape, Inc. in 2015. 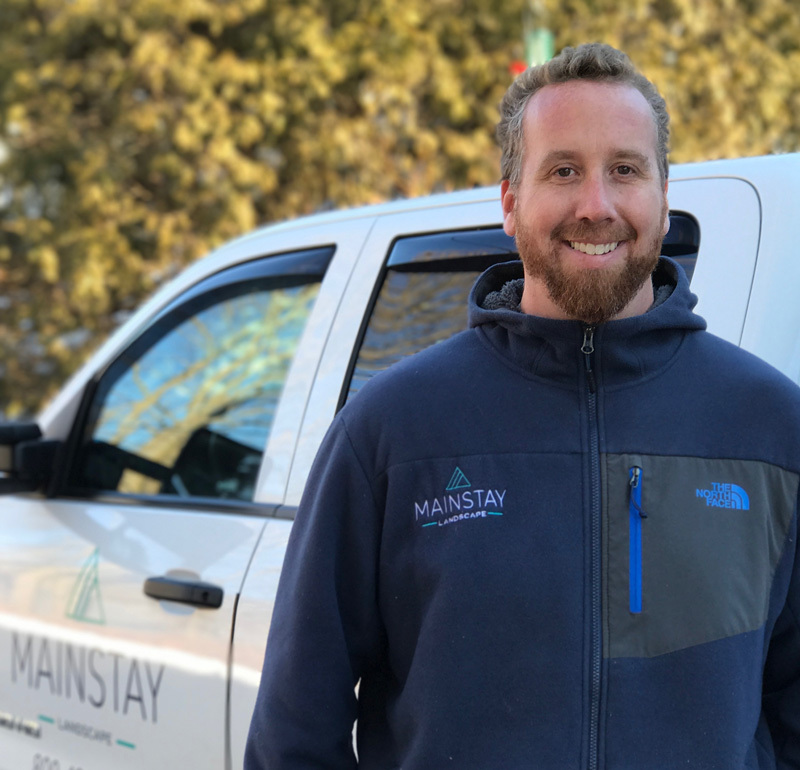 A graduate of Dickinson College (PA), he is a certified Massachusetts Landscape Professional (MCLP), an Certified Concrete Paver Installer (CCPI), and he holds a hoisting engineer license. 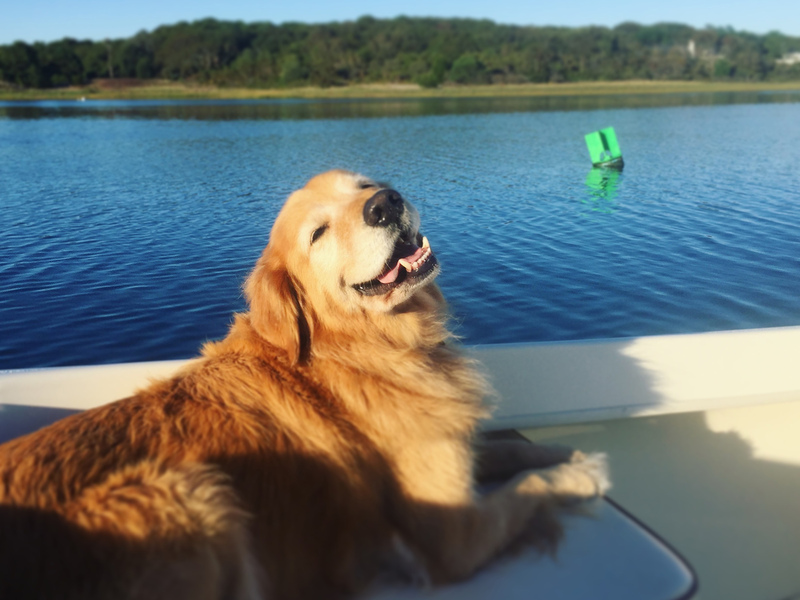 Jay lives in Westwood and Osterville with his wife Amanda, step-daughter Mimi, and their Golden Retrievers Truman and Copper. David Maxwell Ambrosini has been in the Green Industry for over 20 years. 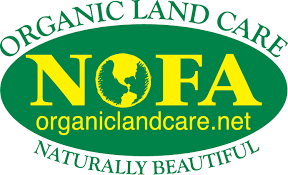 He has a BFA from Emerson College, is an Accredited Organic Land Care Provider (AOLCP), is a Massachusetts Certified Pesticide Applicator, and a licensed hydraulics operator. He is also ICPI trained and certified (CCPI). David lives with his exceptional family in Medfield. 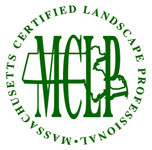 Jordan has over 12 years experience in the Green Industry and is a graduate of UMass Green School. He specializes in landscape construction and outdoor lighting. Jordan is ICPI trained and certified (CCPI) and has his MA hoisting engineer license. 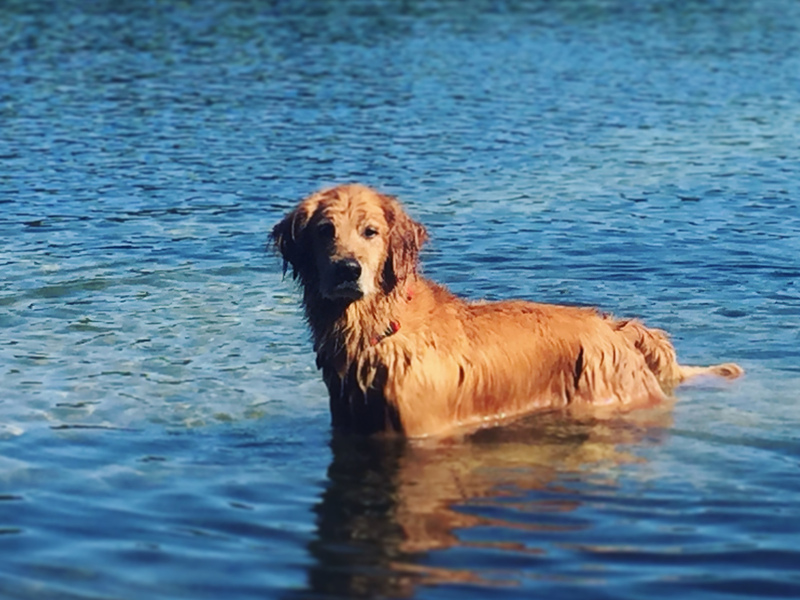 When he’s not building landscapes, Jordan spends time fishing and kayaking. Sammi’s love for gardening began when she was very young. This passion led her to a career in the garden. Sammi has been in the Green Industry for over eight years and specializes in fine gardening, container gardening, and ornamental pruning. 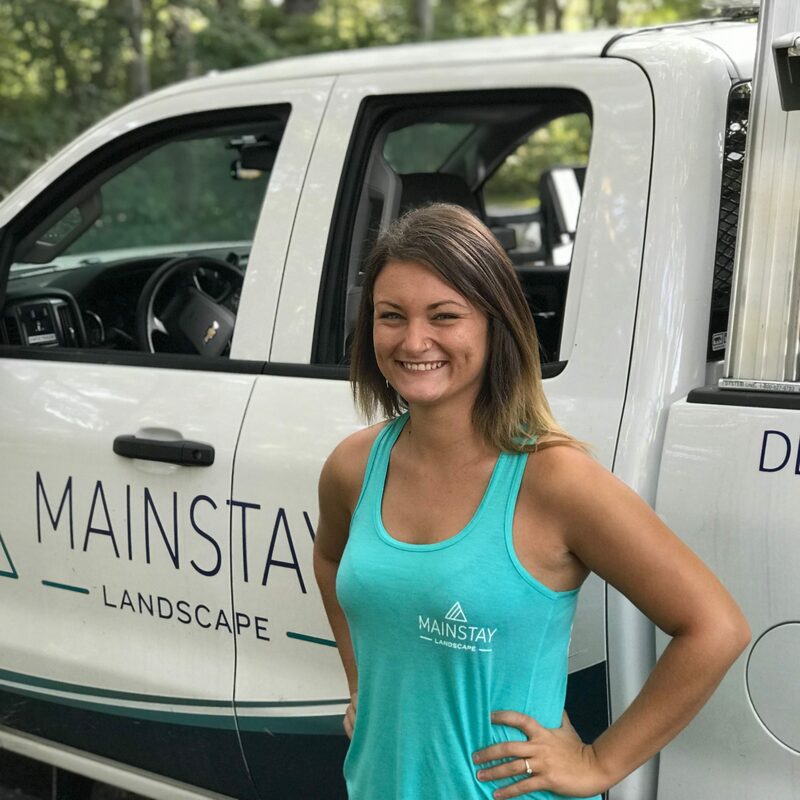 She is passionate about reconnecting MainStay’s clients to their gardens so that they can enjoy the offerings of their landscape. In her spare time Sammi enjoys riding her motorcycle and volunteering for her favorite charity.